If you've been wondering whatever happened to the funky alien duo that is ToeJam and Earl, fear not. 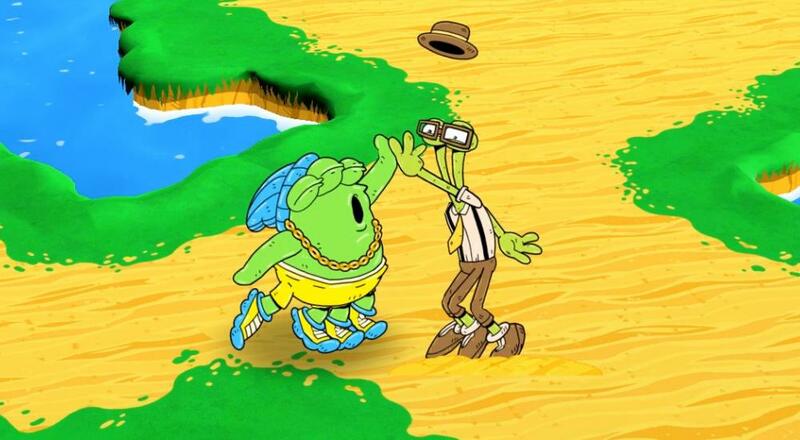 After years of dormancy, a successful Kickstarter, and a slight delay, ToeJam and Earl: Back in the Groove will finally see the light of day on March 1, 2019. ToeJam & Earl on the SEGA Genesis is one of those classic co-op titles that has managed to stand the test of time, despite the sequels that received rather mixed receptions. This fourth entry in the action/adventure/rogue-like series has been pitched as more of a "return to form" when it comes to the gameplay, with players viewing all the action from a 3/4 isometric perspective and exploring a series of levels in order to find all the missing pieces of their crashed rocket ship. You'll have to avoid obstacles, like angry men with lawnmowers, in order to do so, but you'll also be able to snag some presents with a variety of goodies to help you out. ToeJam and Earl: Back in the Groove will be available on PC, PlayStation 4, Xbox One, and Nintendo Switch on March 1, 2019 for $19.99. Two player local or four player online co-op will be supported throughout the campaign. Page created in 0.9464 seconds.